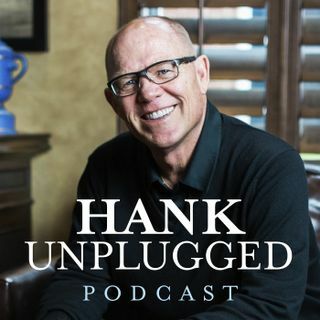 Hank is joined by special guest J. Warner Wallace. Before he became a popular apologist, Wallace would listen to the Bible Answer Man broadcast in the car while working stakeouts as an undercover investigator. He has since masterfully melded his unique capabilities as a cold-case detective with his passion for Christian apologetics to provide believers and skeptics alike the tools and evidence to make the case for the Christian faith. Topics discussed include: Wallace recalls listening to ... See More the Bible Answer Man broadcast while working as an undercover investigator (3:25); Warner’s response to Colin Kaepernick and the cultural divide involving race and law enforcement (5:40); “visualish”—the new visual language of digital natives (9:45); what is a cold-case detective? (15:15); investigating whether the universe can be created by an uncaused first cause (17:30); strategies for overcoming the dangerous problem of apathy towards religion (25:00); the relationship between millennials and the church (29:55); the role of relationship in evangelism (38:15); Warner discusses his father’s disbelief and the 3 reasons why anyone rejects a truth claim (43:50); the importance of taking complex concepts and making them simple and transferable (49:20); addressing the metaphysical aspect of our humanity (52:00); how important is it for Christians to have a robust understanding of free-will (57:30); the moral responsibility for all Christians to know how to make the case for Christianity (1:01:00); Cold-Case Christianity: A Homicide Detective Investigates the Claims of the Gospels(1:08:00); using cultural commentary to elevate the value of scripture (1:15:25); the importance of hermeneutics and learning to read and interpret properly (1:20:20); the importance of young people making the 3 trajectory decisions of choosing the right worldview, spouse and mission in life a priority (1:23:45); four cultural shifts and transformations Warner believes are contributing to school shootings (1:29:30).